I had an idea for a new model! A real “bass” gurdy, rather than just a normal one with thicker strings. €50000, the size and weight of a small car, option to extend the soundpost into a mast to fit a sail for short sea voyages — any takers? now that you mention the mast, maybe you could adapt the steam ship and use the side wheel as a crank? "I said, centimeters, not inches!" Gee! That's a big one! Yes, i knew it, double bass and cello bridges are the best! Just make a wheel and handle arrangement that can be clamped to any convenient high tension bridge cable, ships mast-stay, power line or kite string. I think you need to think big and build Noah's ark. Nothing less. This is just beautiful work. 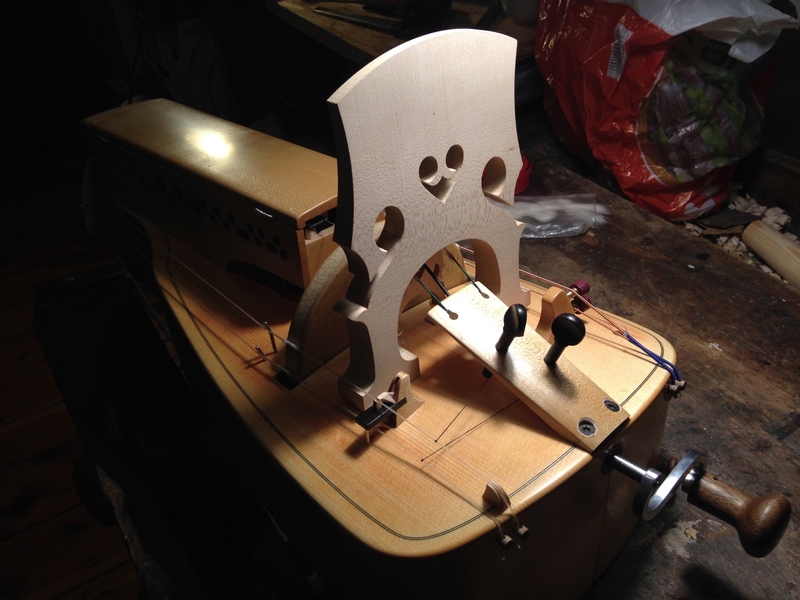 the new hurdy gurdy model 'Arche Noah' would be waterproof then?